Yes, the man that invented the light bulb was still with us. As you may remember from your history classes, Edison was an American inventor, scientist, and businessman who developed many devices that greatly influenced life around the world, including the phonograph, the motion picture camera, and a long-lasting, practical electric light bulb. It comes as no surprise that the debut of this now extended streak would enjoy a controversial start -- the two schools don't agree on the final score. According to Clemson it was 48-24, but the folks in Chapel Hill have it recorded as 50-20. That 1925-26 Tiger squad was not a strong one finishing 4-17 with only a win over in-state rival South Carolina to growl about. Clemson was coached by A.A.Gillian who was an assistant football coach. He coached the freshmen team one year and then moved up to the varsity for one season posting a 4-17 overall record, 1–7 in the Southern Conference. He would be replaced the next year by the very popular Josh Cody. Harlan Sanborn was the Tar Heel’s head coach coming to Chapel Hill by way of Blacksburg where he coached one season. Sanborn was the head coach of Virginia Tech during the 1916–17 season and his .895% winning percentage (17-2) remains the second highest for the Hokies. 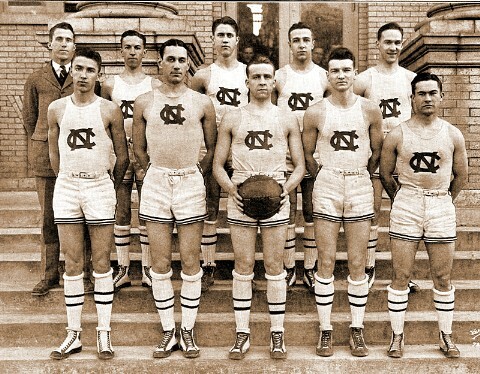 After Monk McDonald left as the North Carolina head coach, Sanborn resurfaced inheriting a strong Tar Heel squad which included Jack Cobb, Bill Dodderer, and Sam McDonald who had earned the nickname of the White Phantoms because of their fast play making and defense skills. The White Phantoms were led by Jack Cobb who would find his way to the North Carolina Sports Hall of Fame. Cobb was raised in Durham and attended Woodberry Forest High School in Virginia. He led the Tar Heels to a 26-0 record in 1924. That team was eventually voted national champion by Helms Athletic Foundation (there was not NCAA tournament back then). Cobb was also named Helms National Player of the Year in 1926 and he was the second All-America basketball player for the Tar Heels earning the honors three consecutive years. A 6’2” forward, Cobb averaged 15 points per game. He is one of eight Tar Heels basketball players who have had their jersey retired. Cobb's dreams of pursuing a coaching career were dashed when he had a motorcycle accident in 1929 and lost part of his lower right leg. He died in 1966 at the age of 62. Foreshadowing things to come in the ACC some forty years later, one of the more memorable games of this season involved a slowdown game against N.C. State. The Wolfpack utilized the "stall" (as it came to be known) to counter the Tar Heels’ fast offense. 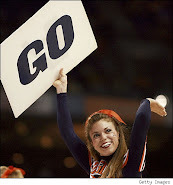 As there was no shot clock, a team could hold the ball as long as they wanted without taking a shot. In the end, State was able to maintain control of the ball and win the game by the final score of 17–8 – the fewest points ever scored by a North Carolina team. Sanborn's team was undefeated at home playing in Chapel Hill’s Indoor Athletic Center (known as the Tin Can). With losses to Wake Forest, Navy, Harvard, Maryland and N.C. State, all on the road, UNC would finish the regular season 16-5 (two wins over Duke) before running off four straight wins to capture the Big South tournament title. To earn the conference hardware, the Heels defeated Clemson, Virginia, Mississippi and Mississippi State. After the season ended, Sanborn left as head coach of the Tar Heels and James N. Ashmore took over as the fourth coach in four years. 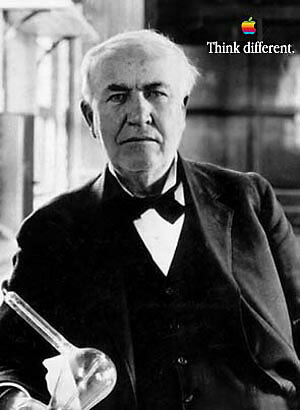 Thomas Edison died on October 18, 1931.